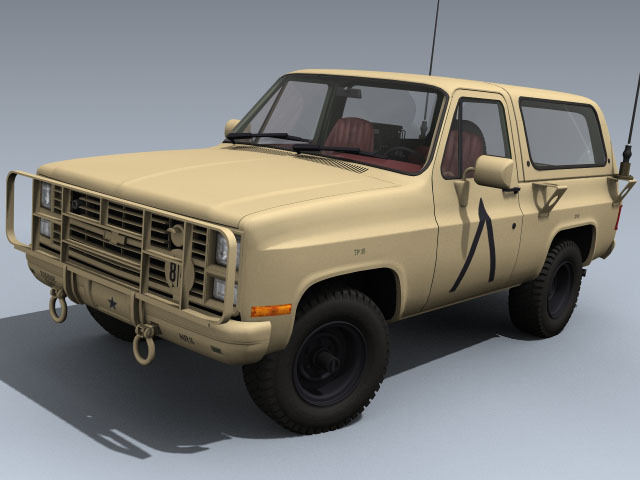 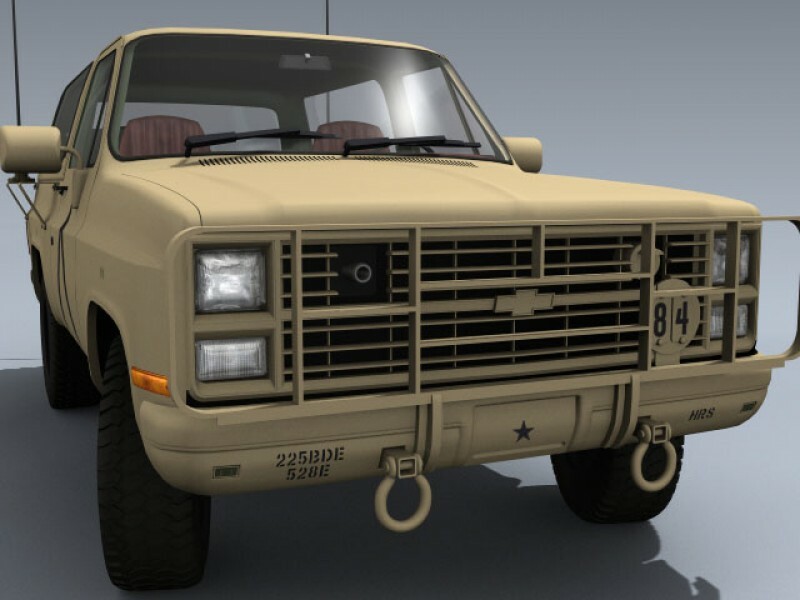 Very detailed and accurate U.S. Army M1009 CUCV used extensively in this paint scheme during Desert Storm. 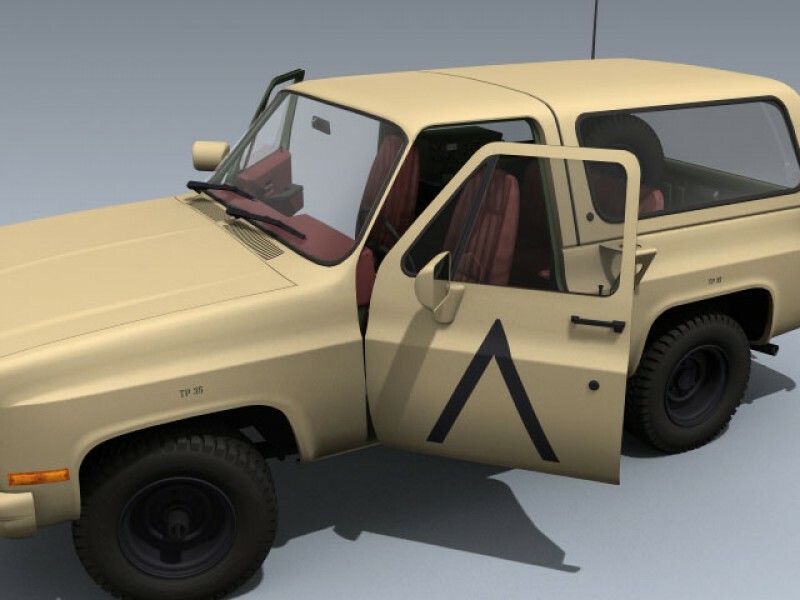 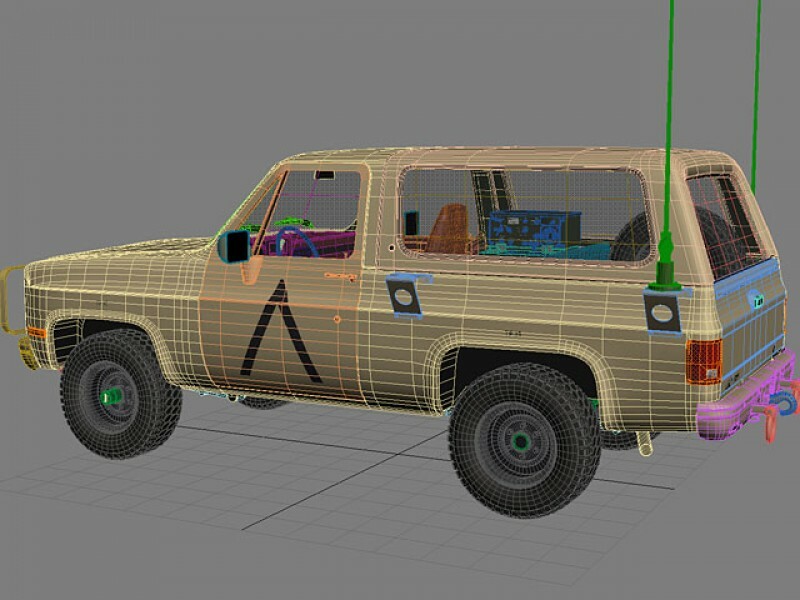 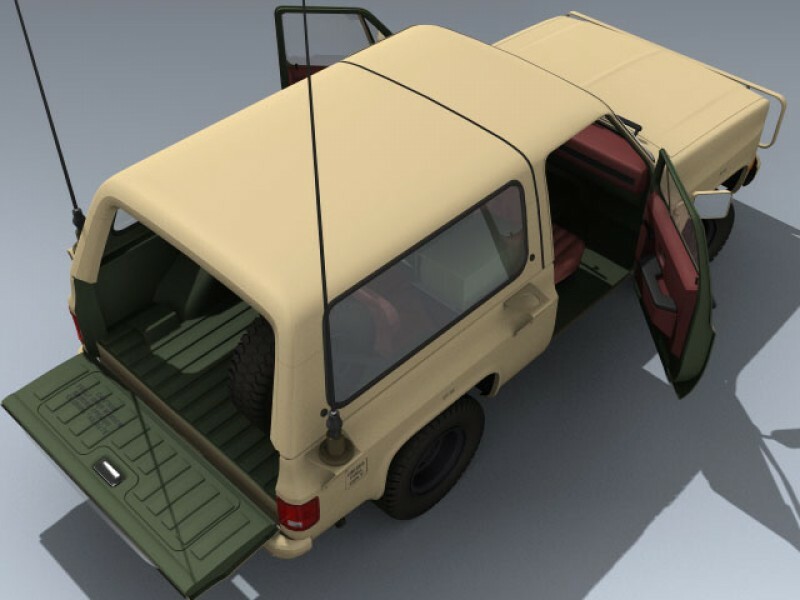 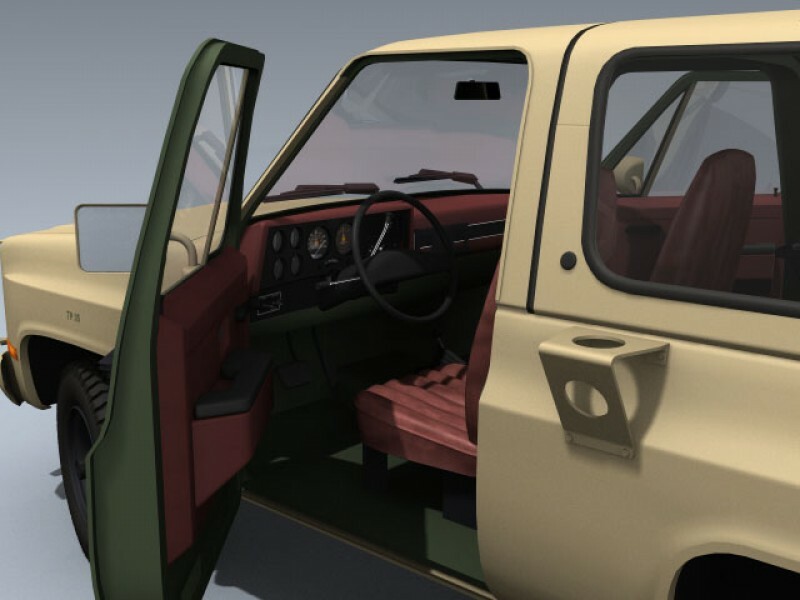 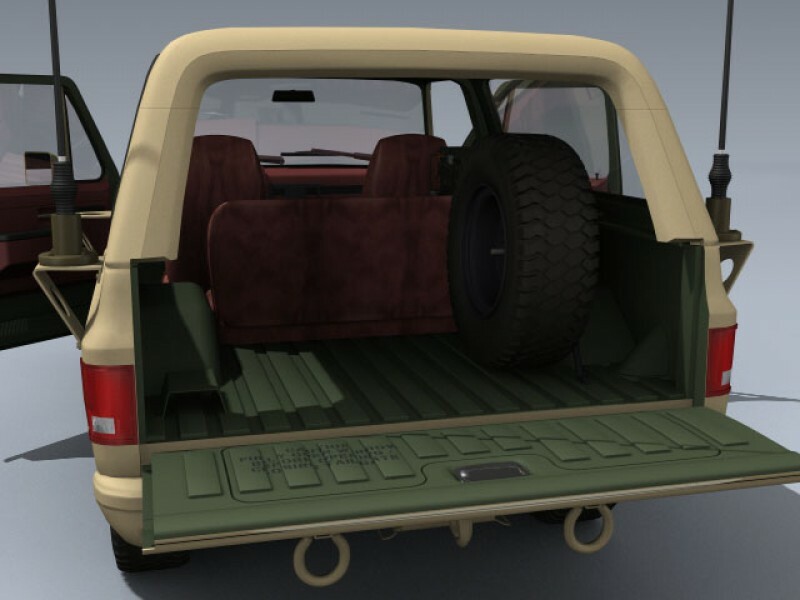 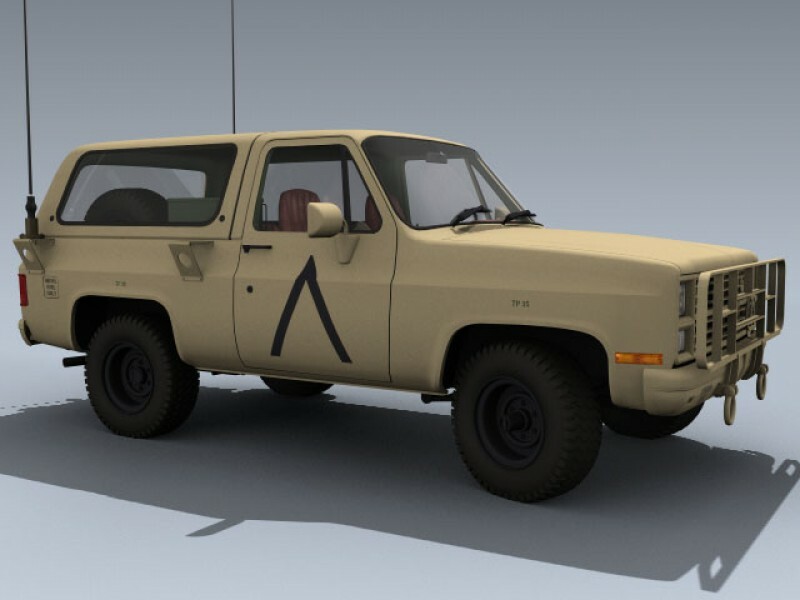 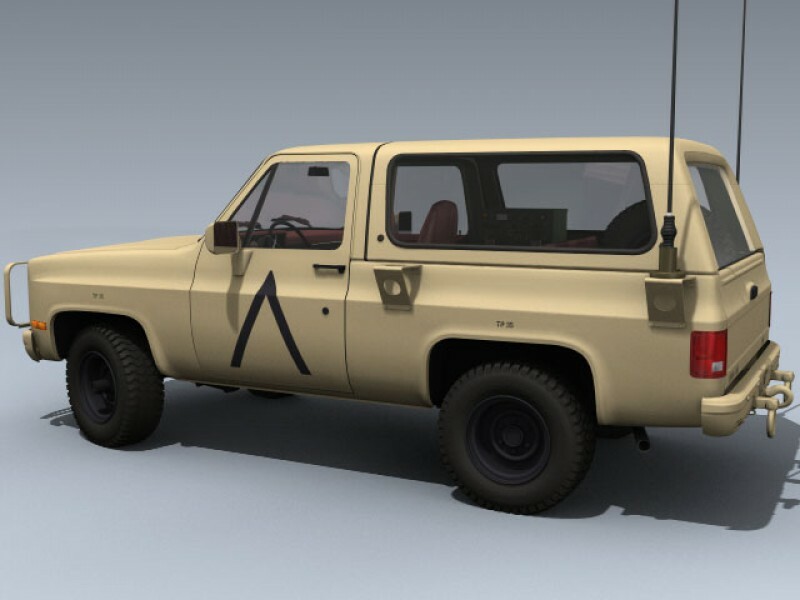 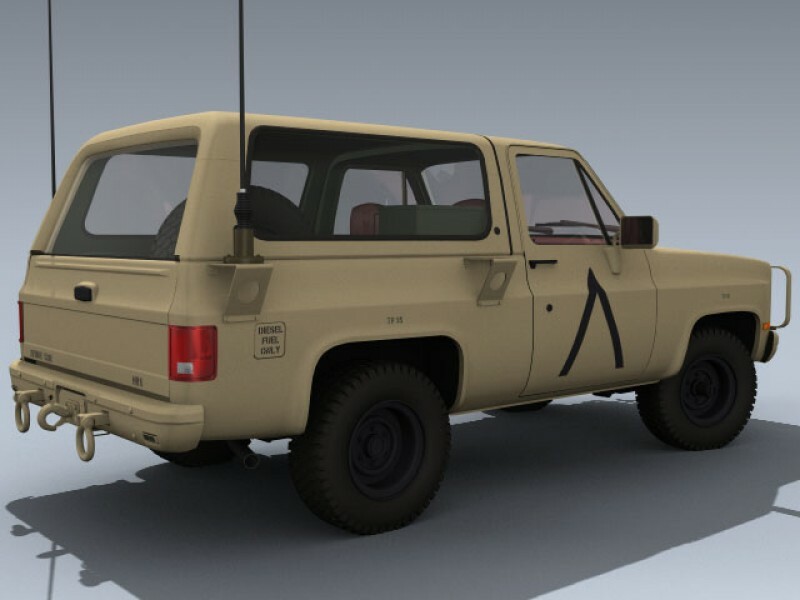 Includes separate doors, tailgate, spare tire, mirrors, wheels, and steering bits for animating. 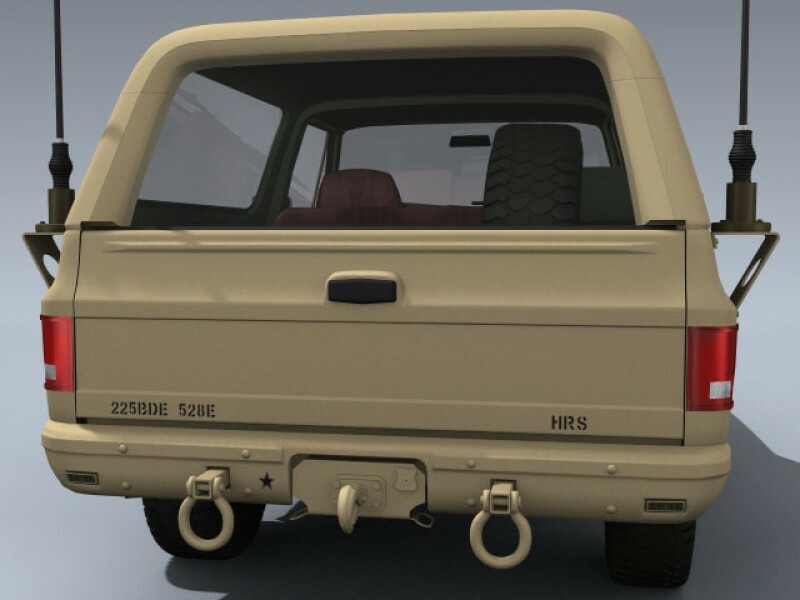 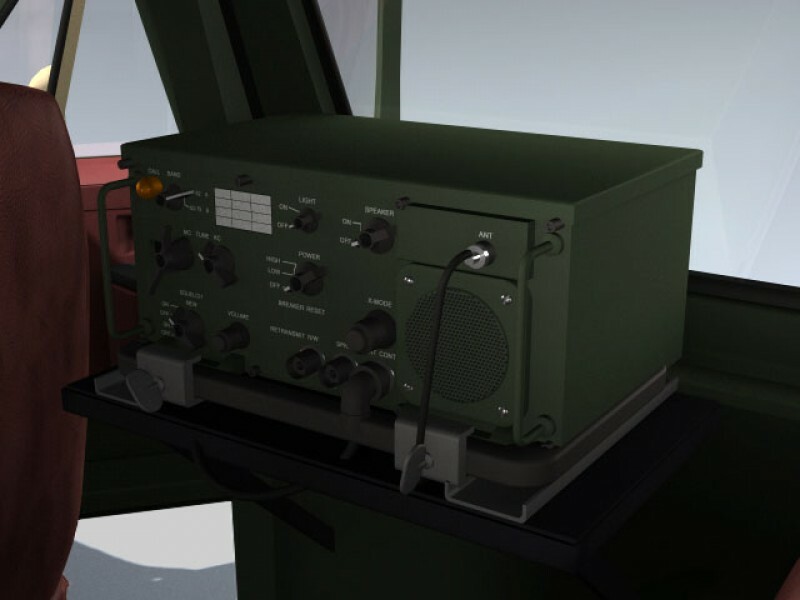 The model also includes extremely large texture maps for close-up rendering.